Philip Kennicott, the Washington Post’s culture critic, has been one of only two critics to wholeheartedly defend Frank Gehry’s design for the Eisenhower Memorial (the other being Witold Rybczynski). Modern Tapestries: The design team at Gehry and Associates and the Eisenhower Memorial Commission has made a habit of referring to the metal curtains as “tapestries,” referencing the tradition to place great people and events on woven material. This may be true of the Middle Ages, but noteworthy modern tapestries are those in the Communist world. 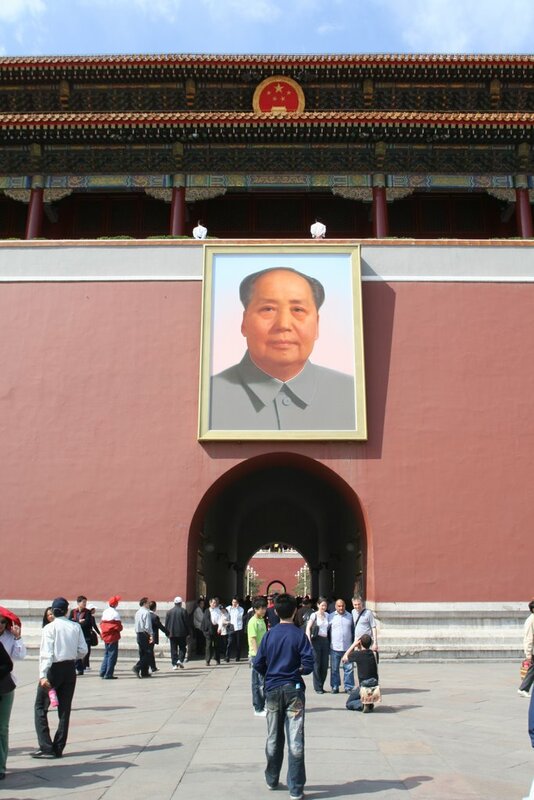 Tapestries honoring Marx, Engels and Lenin used to hang in Red Square; Mao Zedong could be found in Tiananmen Square; and Ho Chi Minh’s tapestry hung from public buildings in Hanoi—to name a few. Iron Curtain: Other critics have noted that we will be putting up an “Iron Curtain to Ike.” Given this symbolism, could the proposed cylindrical columns also be misconstrued as symbols of missile silos?